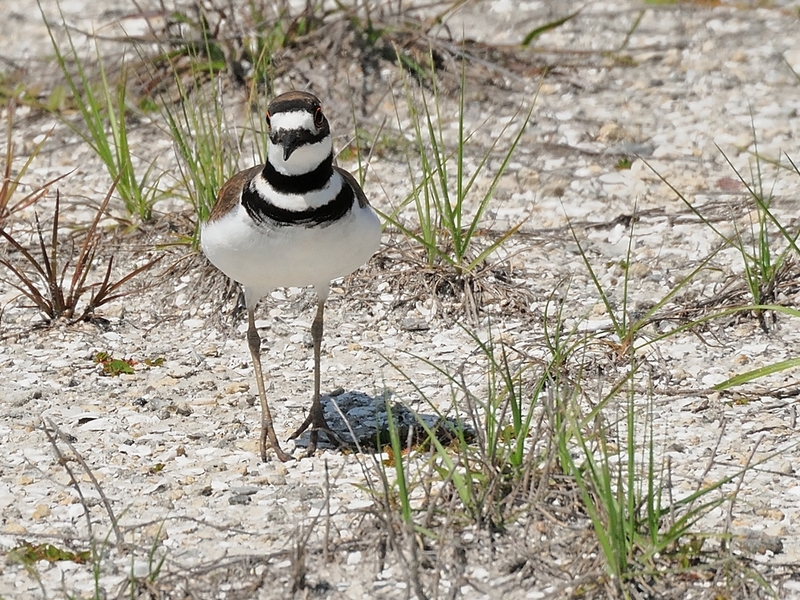 The Killdeer – Charadrius vociferus is a small plover that makes it’s nest on the ground. 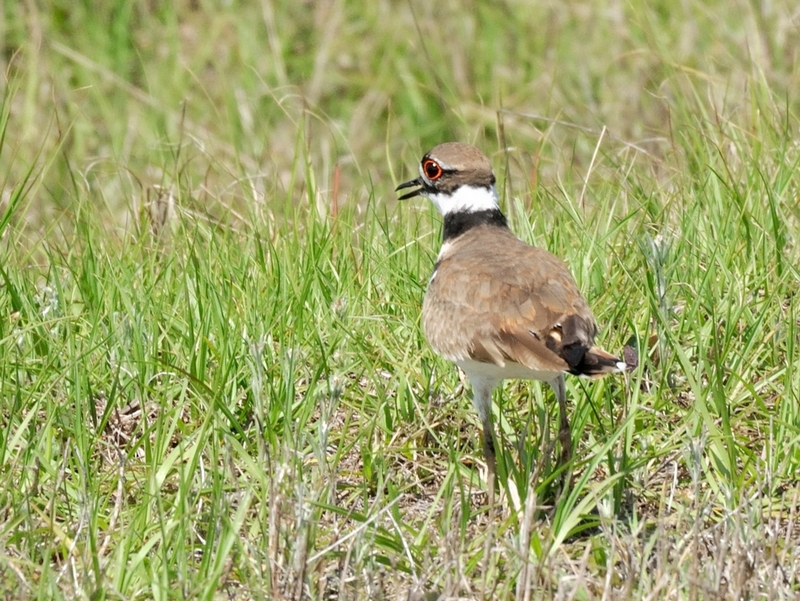 It is an attractive little bird that I can find near ponds and meadows pretty easily. 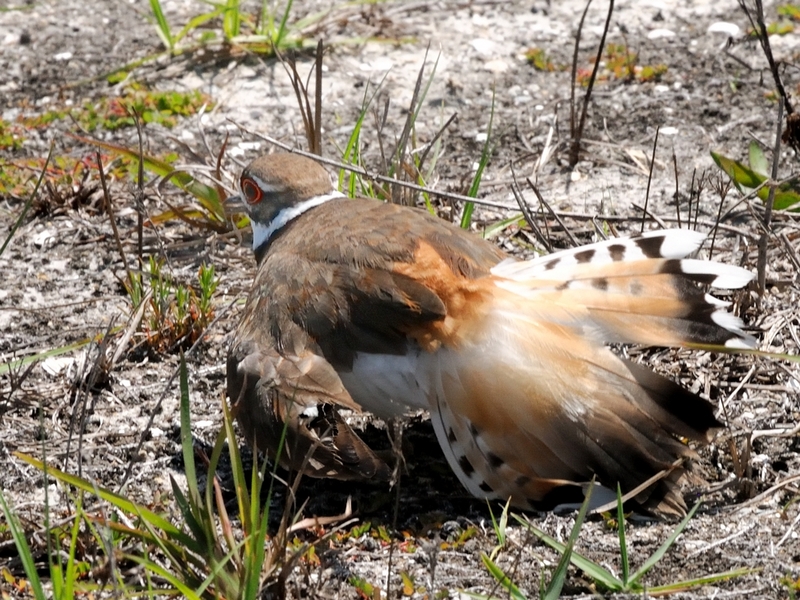 If they happen to be nesting and you get near the nest, one of them immediately starts hopping around on the ground, dragging a wing and acting like it can’t fly. Of course, it somehow manages to stay just out of reach as it draws you away from the nest. Once it thinks you are far enough away, it is miraculously ‘cured’ and manages to strut around as if laughing at you. I managed to find this one in an underdeveloped commerce park near the Punta Gorda Airport. I did look for the nest but, since they nest on the ground in grasses, I was concerned that I would step on it. 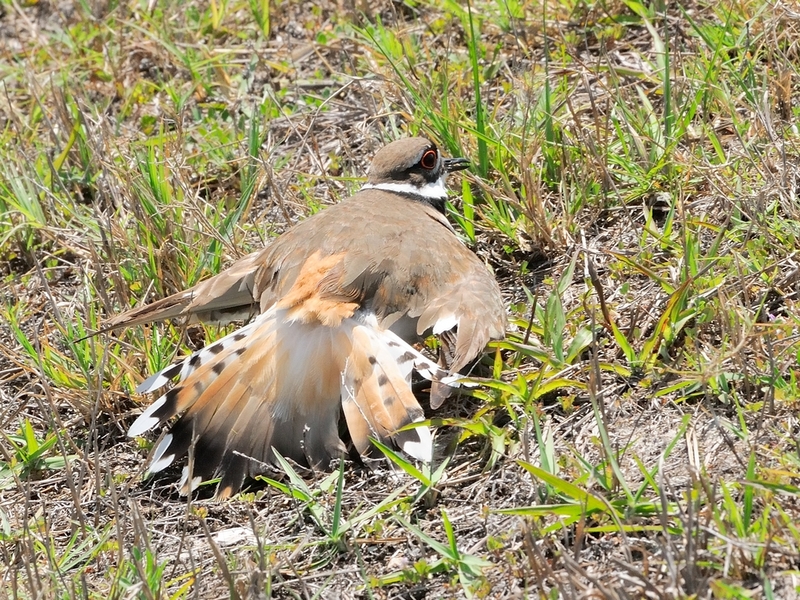 This entry was posted in animal behavior, Bird, Photography and tagged 70-300mm VR, Killdee, Nikon D300, Photography, r Charadrius vociferus. Bookmark the permalink.